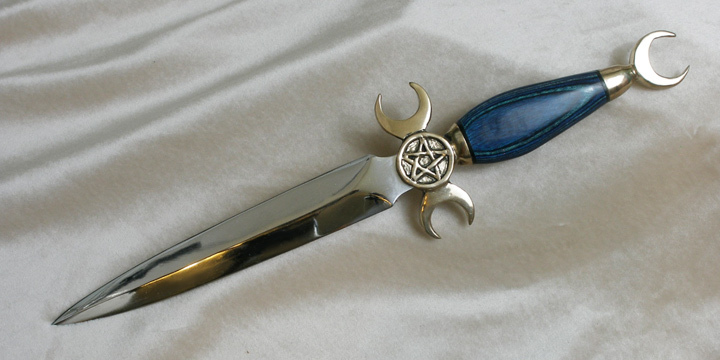 The traditional image of the phases of the moon, but with a pentacle placed in the center of the hilt between the two crescents. 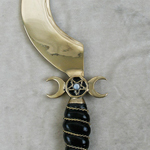 The pommel is a matching moon crescent. Each knife is hand-made to your specifications, with many options available.